Will you try to keep bacteria as your pet? 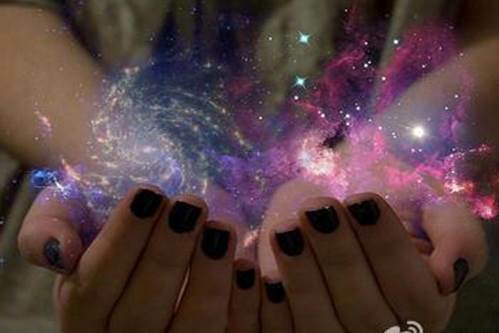 Do you dream to hold the galaxy on your hand? Will you have a cute pet and it can do lots of work? We want to make it! We plan to build a galaxy by the cre/lox system. Inspired by the brain bow, we improved it and let the fluorescent protein stay close to the promoter after the lox site turned over (Fig.1). How does it make the bacteria colorful? To answer this question, we must explain the principle of Brianbow at first. In our design, the pair of loxN( or LoxP) can turn over under the control of cre. So the plasmid will choose one fluorescent protein from RFP, GFP and CFP to express, but how to let it have more than three colors? The key is RBG 3-element color. 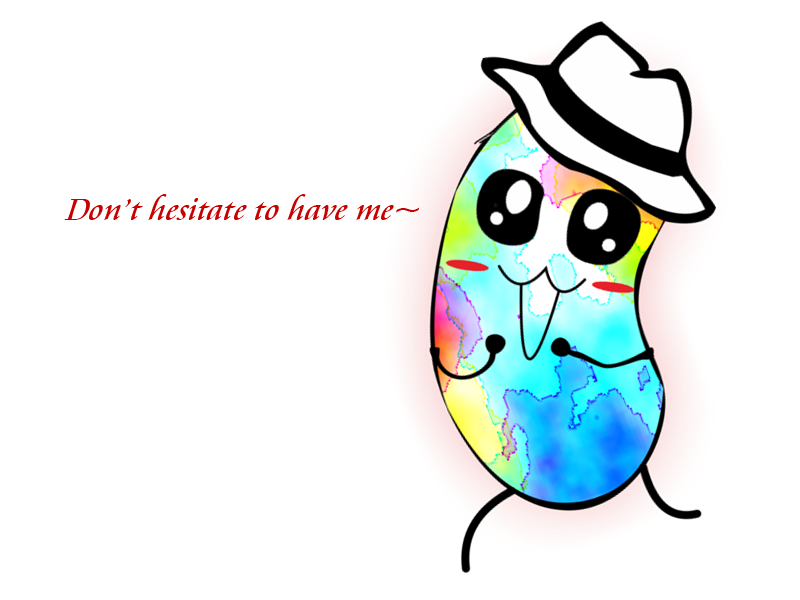 There are dozens of plasmids copies in bacteria. So with blending, we can creative thousands of colors (Fig.2). 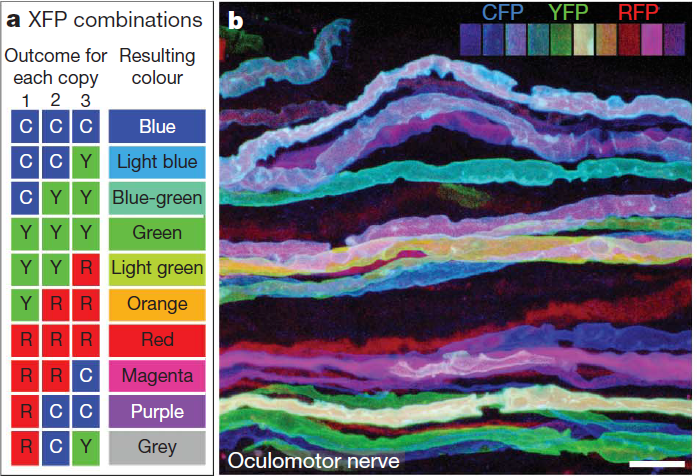 As we can see, thanks to the brainbow, we can let each bacterium has its own color. Imagine in the deep middle of the quiet night, you pet gently on your galaxy. With UV light coming to life, the glass bottle becomes a splendid colorful galaxy. And our galaxy is not just for fun. As a pet, we prefer them can play with you rather than an artwork. 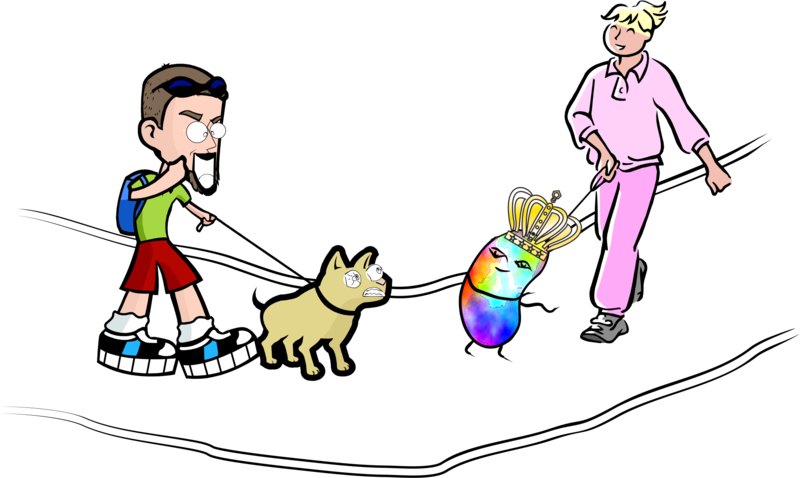 So we can customize your own special pet for you. 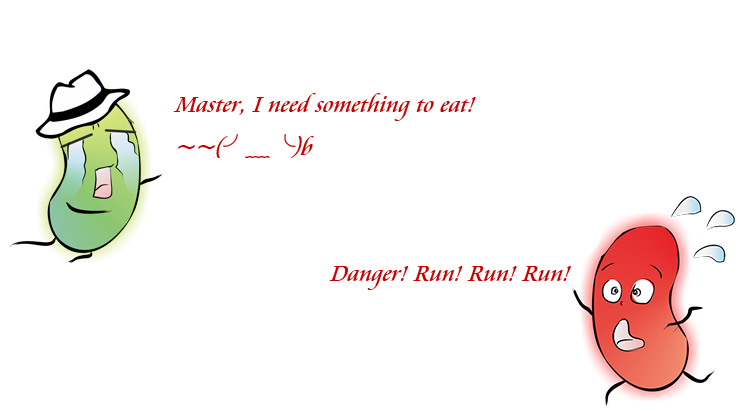 For example, if there is lack of the nutrition, the pet will turn into green to tell you: Master, I'm so hungry! Please give me something to eat! Furthermore, they can help you do housekeeping. When there is too much radiation or cytotoxic substance near your house or in water. The pet will turn into red and tell you: danger! Run away! Of course, we design lots of the function module that your can free to choose. We achieve it by the CRISPR/Cas9 system (Fig.3). By using the inducible promoter and crRNA., we can turn the pet into different colors under different outside stimuli. For example, we use the lacI regulated promoter to express crRNAs which can bond with the RFP and CFP genes. And we add the glucose and lactose in the nutrient solution. So if there is lack of glucose, the crRNAs will be expressed and only the GFP can be expressed. By the same method, we use the recA promoter to make the pets be sensory of dangerous substance. Because of the thousands different inducible promoters, the galaxy can do much more work beyond your imagination. So, why not to have a one right now? Livet J, Weissman T A, Kang H, et al. Transgenic strategies for combinatorial expression of fluorescent proteins in the nervous system[J]. Nature, 2007, 450(7166): 56-62. Qi L S, Larson M H, Gilbert L A, et al. 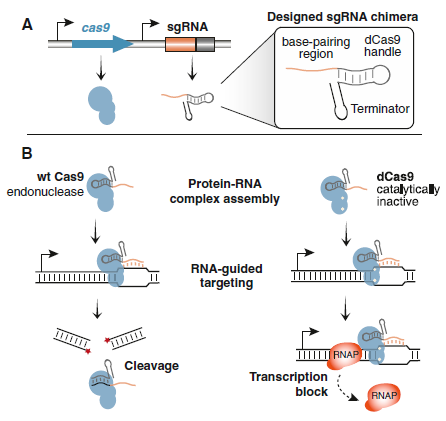 Repurposing CRISPR as an RNA-guided platform for sequence-specific control of gene expression[J]. Cell, 2013, 152(5): 1173-1183.